Boomers already faced significant retirement challenges before getting clobbered by the recent stock market volatility. The possibility of another recession and the political gridlock over the federal debt only add to the uncertainty. More than ever, you will need to make every dollar count when it comes to planning for retirement -- once you are in your 50s or 60s, there isn't much margin for error. Here five common retirement planning mistakes and a few tips for avoiding them. Be forewared: There aren't easy answers. It will take time to navigate an effective course of action. The end result, however, will be peace of mind that you're doing everything possible in a tough environment. Given the market decline in the past three months, you might be tempted to make retirement planning mistake #1: running for shelter and moving all your stock investments into "safe" fixed investments. Even worse, you may decide to stop contributing to your 401(k), telling yourself "What's the use if my accounts just plummet?" Those would both be bad moves. A recent study showed the highest average account balances were earned by investors who stayed the course during the 2008 - 2009 downturn -- that is, investors who maintained their equity allocation and continued contributing to their 401(k)s. Another study showed that target date funds worked well at helping investors avoid making rash moves during the downturn. Your best investing strategy right now? As advocated by fellow CBS MoneyWatch bloggers Allan Roth and Larry Swedroe, decide on an asset allocation between stocks and bonds that's appropriate for you, ignore the scary headlines, and stick to your strategies during the tough times. Find some way to overcome your fear when the market goes down. After all, you're not just investing for the next year or two -- you're investing for the next 20 to 30 years. According to Social Security's Annual Statistical Supplement for 2010, almost half of all Americans who retired in 2009 (47 percent) started their Social Security income at 62, the earliest possible age with the lowest possible benefit. Almost three-quarters of Americans (74 percent) started benefits before their full retirement age. Social Security income may possibly be the best retirement deal you're going to get -- you're paid a monthly benefit for life, no matter how long you live and no matter what happens in the stock market. And it's indexed for inflation. When you think about it, these features provide great protection from three very significant retirement risks: longevity (outliving your money), inflation, and market risks. For most people, it pays to delay taking benefits in order to make your income as large as possible. Just don't delay benefits past age 70; your payout won't increase after that so you won't gain anything by waiting. I realize that putting off Social Security is easier said that done -- you may need the money now, either because you don't have enough in retirement savings to support yourself or because you were laid off and haven't been able to find work in your field. One good strategy is to work part time while you delay drawing benefits. All you need to do is find work that pays you enough to replace the Social Security benefits you're forgoing; that might be possible with part-time work. By working just part time, you'll still have more time for yourself -- compared with working 40-plus hours per week -- so you'll be able to realize some of the advantages of being retired. It might take some time -- as much as 10 to 20 hours -- to learn about the complex Social Security rules and investigate the best claiming strategy given your circumstances. But given what's at stake -- $150,000 or more -- it's like earning thousands of dollars per hour to do this research. 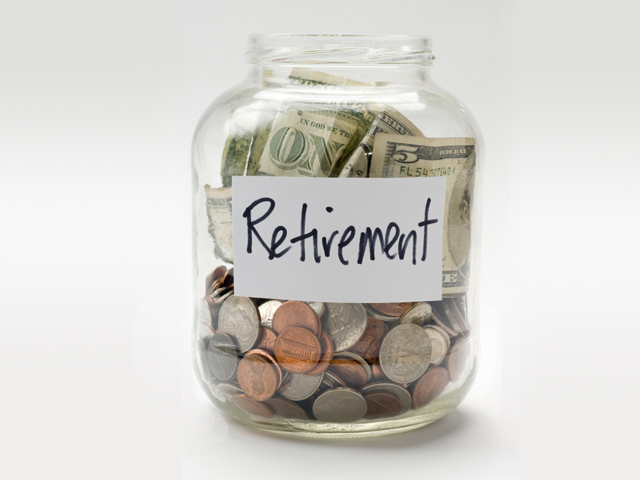 When many Americans retire, they start spending the money in their 401(k)s and other accounts to meet their current needs without understanding that these savings need to last for a retirement that's likely to last 20 years or more. According to the 2009 Risks and Process of Retirement Survey conducted by the Society of Actuaries, 36 percent of retirees withdraw from their savings with no set plan, 24 percent withdraw to pay for emergencies, and 10 percent withdraw for major purchases. Adding up these percentages, it's safe to say that at least half of all retirees are drawing down their savings too quickly. The unfortunate result is, they'll outlive their retirement savings -- a very undesirable outcome. There was good news from this survey, too. Eleven percent of retirees have a set plan for regular withdrawals of interest and principal, and another 11 percent withdraw just the investment earnings from their accounts -- both good strategies that will help make their money last. Invest in a portfolio balanced between stocks and bonds. Withdraw four percent of your account in the year you retire. Give yourself raises for inflation each year thereafter. While this four-percent rule has worked for years, recent evidence has called into question whether four percent is indeed a safe withdrawal amount, given current low yields on bonds and other fixed income savings, and the drag on your investment earnings produced by high investment management fees and underperformance relative to standard stock and bond indices. Better strategies might be to withdraw lower amounts -- say three percent per year- - and of course invest in low-cost index funds. Also consider an immediate annuity for part of your savings; it's another way to protect yourself against the three retirement risks mentioned above. Knowing how you'll generate lifetime retirement income given today's economy -- and how much income you can expect -- is critical to planning a prosperous retirement. The Society of Actuaries recently reviewed almost 500 research papers that studied the effect that obesity has on your health and life expectancy; they published the results of their review in the paper, Obesity and Its Relation to Mortality and Morbidity Costs. The report shows that two-thirds of Americans are considered overweight, with a body-mass index (BMI) of 25 or higher; one-third are considered obese with a BMI of 30 or higher. A number of studies estimated the average or median health care costs per person associated with these different BMI groups. Compared to the healthy BMI group, the overweight BMI group had higher annual medical costs that ranged from a few hundred dollars per year to more than $2,000 per year. And there were similar increases when comparing the obese BMI group to the overweight BMI group. That's money that's flying right out of your pocket, even if you're covered by medical insurance! Another eye-catching number from this report: The total annual economic cost of having citizens who are overweight and obese in the United States and Canada was approximately $300 billion in 2009. That figure is based on medical costs, excess mortality, and disability costs. Just imagine if we all took better care of our health by eating better, getting exercise, and stopping smoking. Collectively, we could save boatloads of money for our retirement! Given the skyrocketing costs of Medicare and employer-sponsored medical plans, we can expect to see more incentives in these programs for people who take care of their health, and more cost-shifting from the government and employers to individuals. I'm doing everything in my power to reduce the odds of needing expensive medical care. Not only will I save money, I'll also be able to enjoy life more and most likely live longer (although that could require more retirement savings - a result I'll gladly accept). Could Being Healthy Actually Make Your Retirement Worse? According to the 2011 Retirement Confidence Survey conducted by the Employee Benefit Research Institute (EBRI), only 42 percent of Americans have actually calculated how much money they'll need to save for retirement. An equal percentage of Americans simply guess at this amount -- and they usually guess too low! The unfortunate, inevitable result is that these people will exhaust their retirement savings while they're in their 70s or 80s, at which time they'll either need to move in with their kids or live in a tent and eat noodles. The EBRI study also showed that people who calculate how much savings they'll need are more confident about their ability to retire. So try calculating how much money you really need to save, then increase your savings accordingly -- you'll feel better about your retirement years. If you need help, check out Choose to Save. It's a nonprofit program from EBRI that offers a simple online calculator to help you with these calculations. As I've indicated in the previous pages, you could easily spend dozens if not hundreds of hours planning how to have the best possible rest-of-life and avoid these five common retirement mistakes. Don't be intimidated by this. You can spread out the time you need to spend on these tasks over the next few years. Think of it this way: Just eliminate one or two of your least favorite TV shows, and spend the time you've gained on your retirement planning. You -- and your spouse and children -- will thank you when you make it to your eighties and nineties, still walking down the road of a healthy and prosperous retirement. Want to avoid making retirement planning mistakes? Check out my latest creation - an innovative online retirement planning guide Money for Life. I've organized a rich - yet free -- collection of more than 150 blog posts, articles, research reports and video clips on the most important retirement planning decisions regarding money, health and lifestyle.